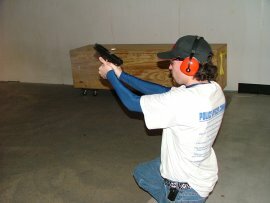 Delaware Concealed Carry TrainingThis course provides the training required by Delaware to obtain your license to carry a concealed deadly weapon. It is taught by NRA Certified Pistol Instructors approved by the Delaware State Attorney General. 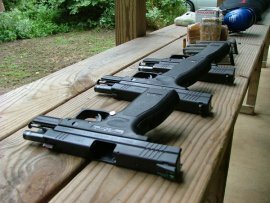 NRA Basic Pistol TrainingEarn your NRA Basic Pistol certification in this fundamentals-driven class. Florida Non-Resident Concealed TrainingTraining that will allow you to obtain your Florida non-resident license to conceal in 34 other states! 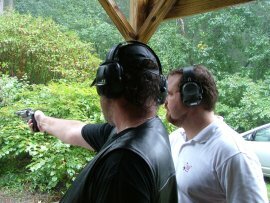 At Delaware Patriot, we provide Delaware Concealed Carry training and help you through the application process. 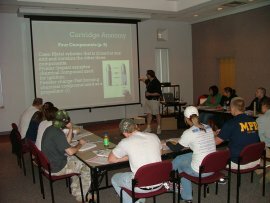 Our classroom is mobile, and if you have a group of three or more, we can conduct the presentation portion of the concealed carry class in the comfort of your home or office! 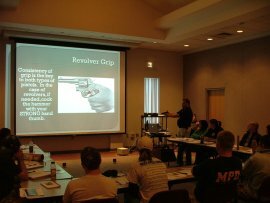 Contact us today to schedule your Delaware firearms training or have any questions addressed -- we're here to help! Businesses, corporate security, private citizens and future law enforcement have utilized Delaware Patriot's training services. Here are some photographs from both the classroom and the range. We strive to offer flexibility in scheduling your training by working with a team of instructors. For additional information or to schedule a class for your group, contact us today! The State of Delaware has legislated specific requirements to obtain your license to carry a concealed weapon. Our class exceeds these and allows you to satisfy the state's training requirement. Whether you're a beginner or an intermediate, the NRA Basic Pistol class is designed to acclimate you to the world of pistols through a combination of classroom and live-fire exercises. By obtaining your Florida conceal permit, you are able to conceal in 34 additional states. This training will provide you with the training required to obtain your permit through the state of Florida. This female-led course provides a stress-free, respectful environment that supports you and your personal safety goals. In addition to exceeding the State of Delaware requirements to obtain your license to conceal, we also discuss women-specific safety considerations, body mechanics, and pistol concealment. With numerous firearm instructors out there and being a woman, it was extremely important who I went to. Delaware Patriot was incredible. Rob was extremely knowledgeable, and never made me feel inferior. It was a great experience learning with him; educational yet a lot of fun. I left feeling confident in my abilities and wanting more... Thanks Rob, for the great foundation you built with me! 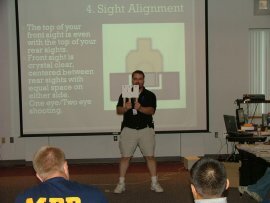 I had the pleasure of participating in the CCDW class offered by Delaware Patriot and Rob as the instructor. I found the class to have been an invaluable source of training. From the classroom to the range portion of the course, Rob was an engaging and fun instructor to learn from. 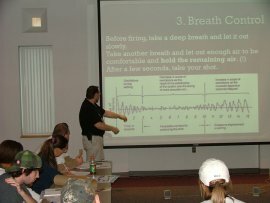 He demonstrated a high level of safety awareness and imparted this trait onto everyone who attended the course. He was happy to answer any question I asked. I appreciated his in depth knowledge. Instead of the typical yes or no answers one might expect, he would offer detailed information and relate this to real world experiences to explain the importance. He was able to analyze my firing position and helped me to improve my accuracy during this one class. 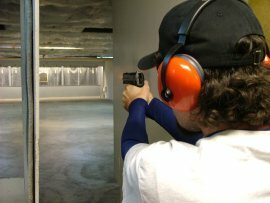 I would highly recommend Rob to anyone looking for a basic firearm class or CCDW training, one of the best classes I have taken.